Eloxated aluminum tag, 45x20mm. 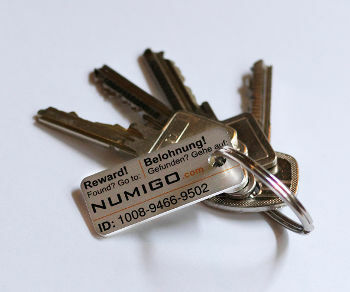 Very durable, weighs less than a key, fits to your key ring. The ID on the tag does not expire.